Inspired by Danner’s iconic Quarry boot, the Burton x Danner snowboard boot is a high performance, traditional lace snowboard boot rendered in genuine leather & featuring a Vibram Ecostep Rubber Outsole. 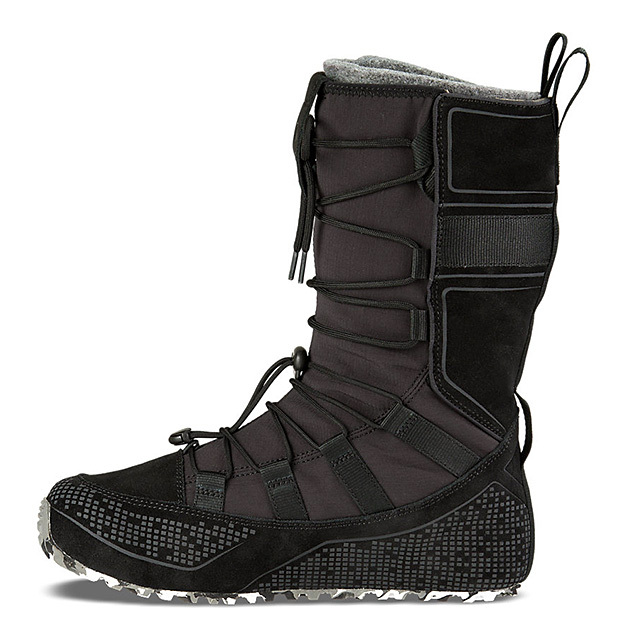 For added warmth, the boot has Reflective Foil inside the liner to capture and radiate body heat. Heritage snowboard brand Burton teamed up with heritage boot maker Danner on a snowboard boot that brings classic mountain style to the snow. The Burton x Danner boot features a traditional lace leather upper, a removable, high performance Imprint 3 liner and a rugged Vibram EcoStep rubber outsole. Vibram’s freeform “furoshiki” footwear offers a flexible wrap-around design for comfort fit and a lightly cushioned foot-bed for support. 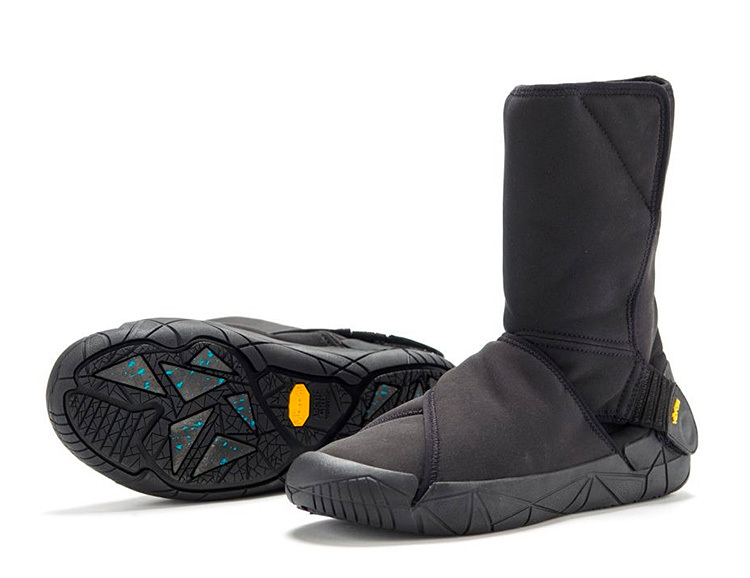 The new Furoshiki Oslo waterproof winter boot adds the snow, ice, and slush-ready Vibram Arctic Grip outsole to make a simple yet solid boot built for the worst winter weather. The combination of a slip-on design, award-winning winter outsole and its fully gusseted upper means you’ll be toasty & sure-footed no matter what nature throws at you. 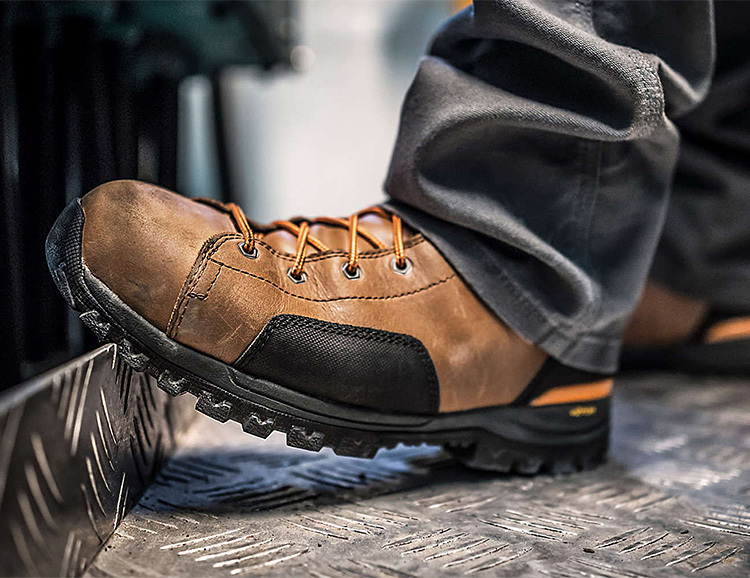 Combining legendary Danner quality & craftsmanship with modern materials, the Gritstone work boot is overbuilt for years of trusted service on the jobsite. 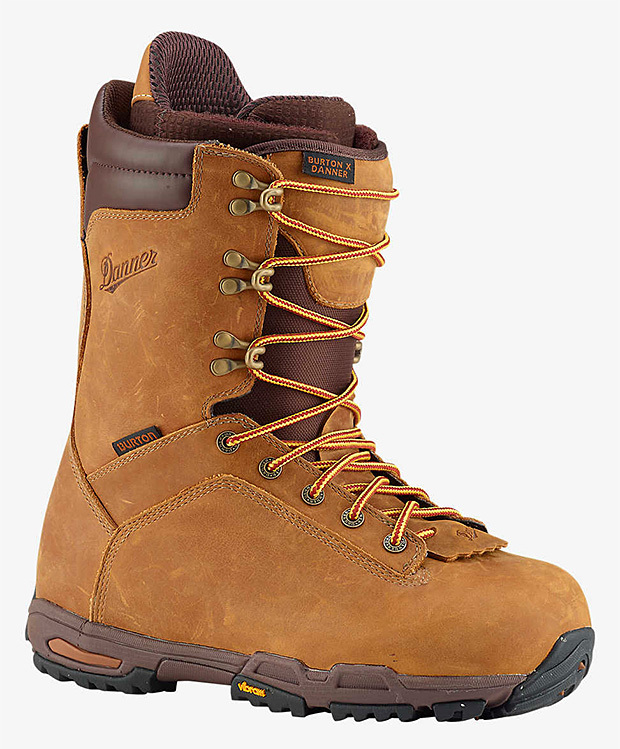 It’s made of triple-stitched, waterproof full-grain leather with a new insole board replacing the standard steel shank, this boot is lighter and more comfortable without sacrificing durability or protection. 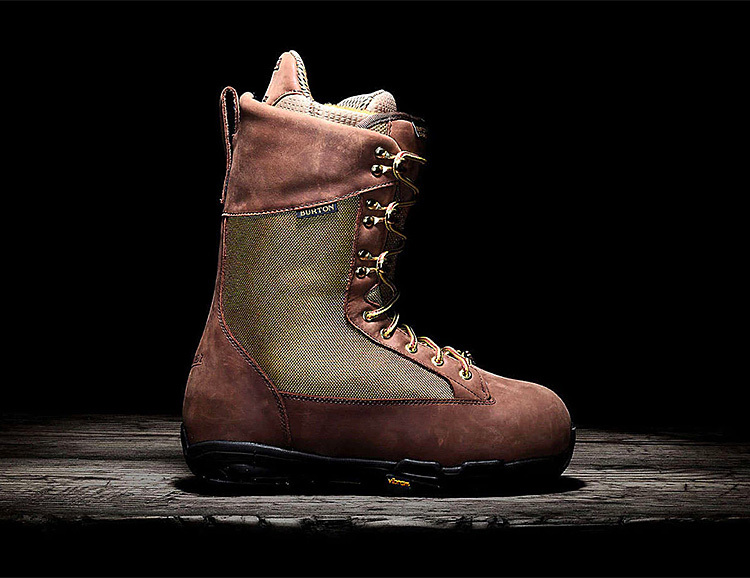 Orvis and Danner, two iconic American outdoor brands have teamed up for the creation of a collab boot. 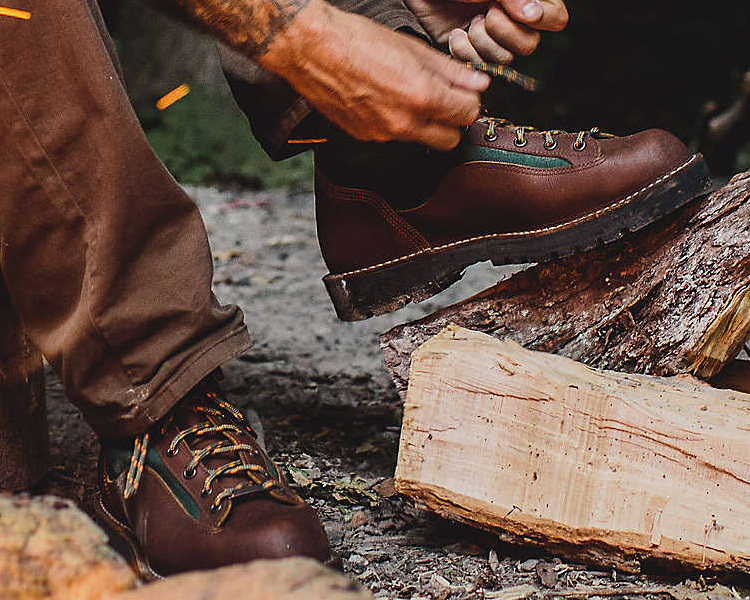 Using the classic Danner Light boot, they’ve added waterproof full-grain leather and Orvis green cordura side panels as well as a Vibram Sierra outsole with Megagrip & a waterproof Gore-Tex liner. 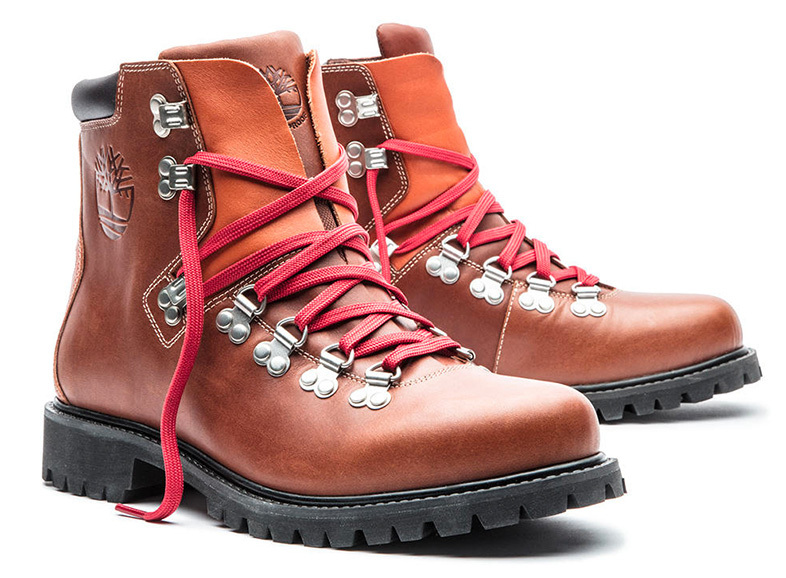 The boots are made in Danner’s Portland factory and feature a co-branded logo on the tongue. 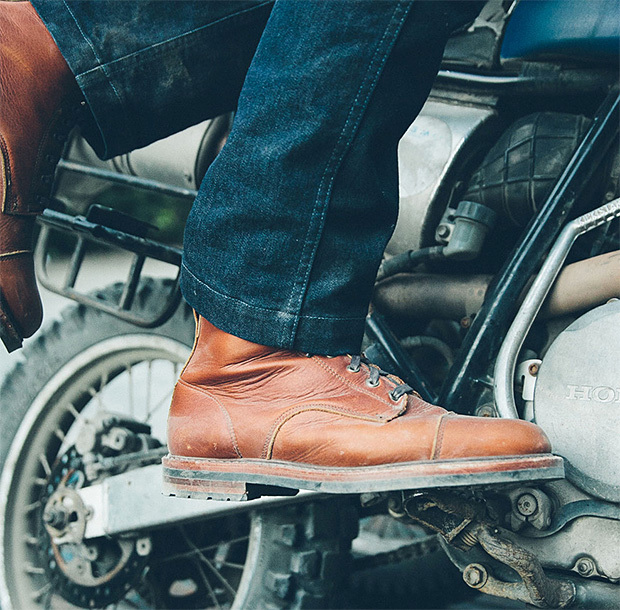 Canadian boot-maker Viberg has been crafting quality boots for over 80 years and their new chukka-height Bernhard Boot highlights that heritage with premium materials and timeless style. 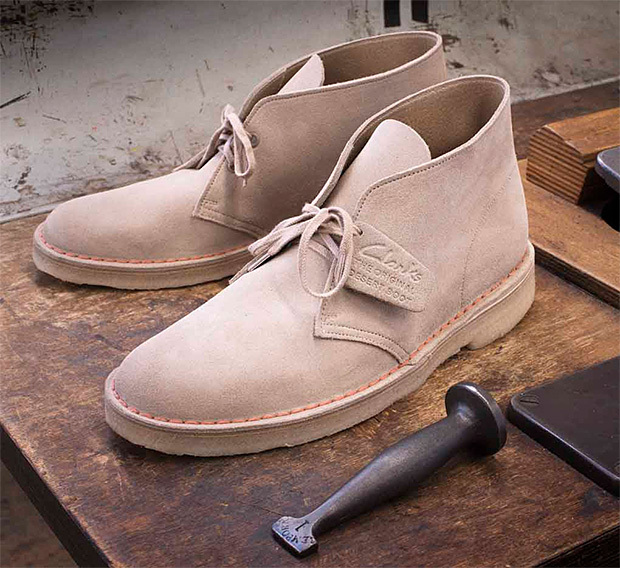 They’re made of calf suede with Goodyear welt construction and feature brass eyelets, a Kip lining and a crepe sole. 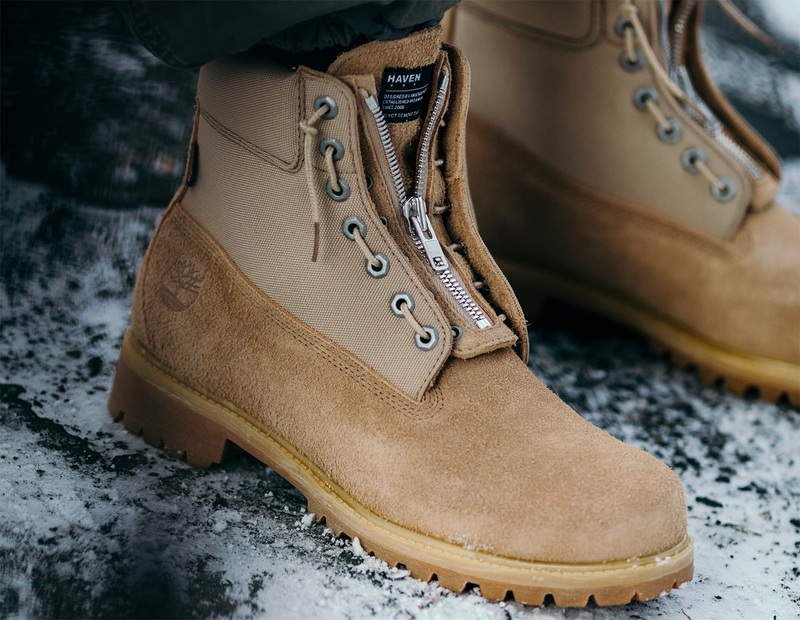 Alberta-based streetwear brand Haven teamed up with Timberland to create a tactical and winter-worthy variant of their iconic 6-inch premium boot. The Haven model, in black or gray leather and brown suede, features a combination zip-front + lace-up closure as well as a Gore-Tex membrane for waterproof breathability. 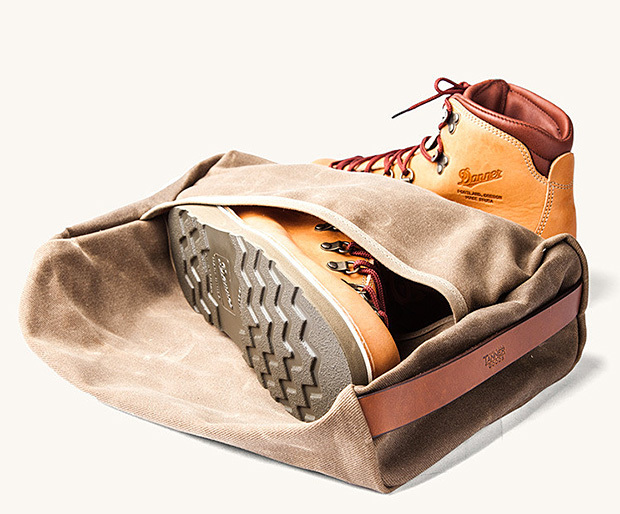 Haven x Timberland branding marks the boot as the unique creation it is. 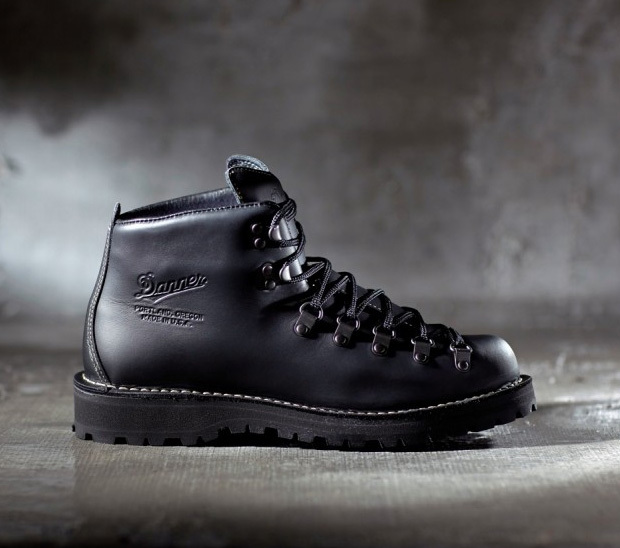 The Stronghold boot from Danner is purpose-built for hard work. Boasting cushy comfort right out of the box, the boots requires zero break-in time, features a full-grain leather upper, SPE midsole for comfort and energy return, and a lace-to-toe design that marks it as a Danner classic-in-the-making. 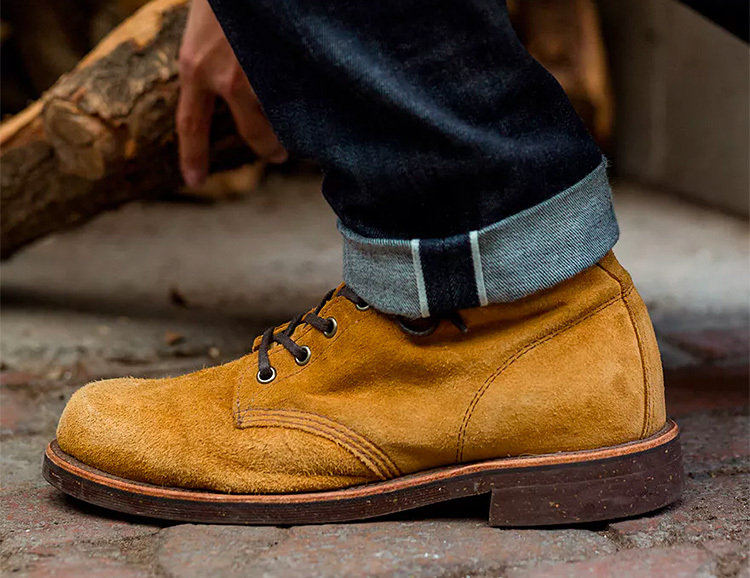 Despite what pretty much every brand spouts, very, very few products are truly “classic’ or “iconic.” But the suede Desert Boot from Clark’s is on the list. Unchanged since its introduction in 1950, Clark’s is making 1,950 handmade & numbered pairs to celebrate the 65th Anniversary of this enduring design. Chippewa Boots have been a staple of the American workingman since 1901 and their 6” Service Boot is as certified classic. Made of full grain American hide leather, they feature a leather liner, a Vibram V-bar outsole, Goodyear welt construction. and require no break-in time. 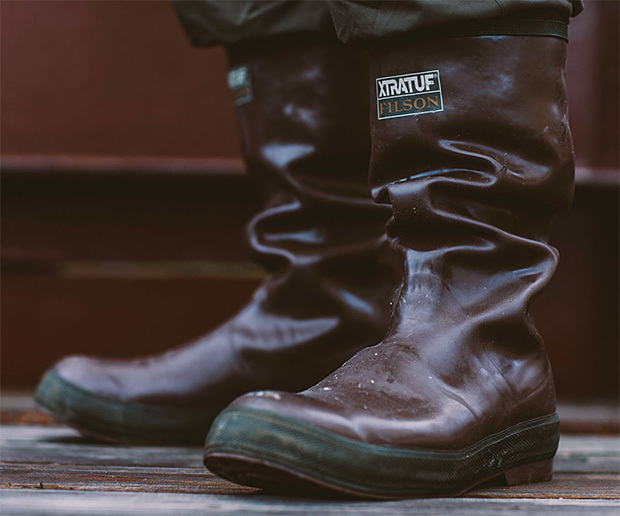 This boot offers the waterproof protection that commercial fisherman call for. It features triple-dipped seamless rubber construction plus the comfort of a built-in footbed that offers support, cushion, & arch support. An outsole with a chevron tread provides sure footing on slick surfaces. Warmth rated to -10 degrees. Keep your mud-covered Danners from soiling the clean clothes in your luggage. 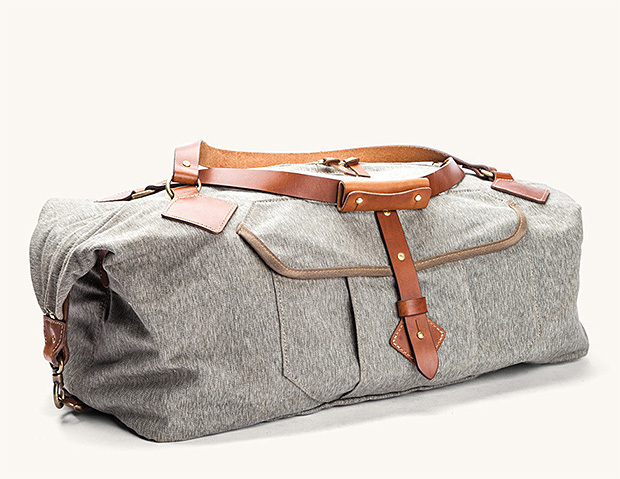 Keep them separated with their Stowaway Boot Bag; it’s made of tough canvas & features a leather carrying handle. 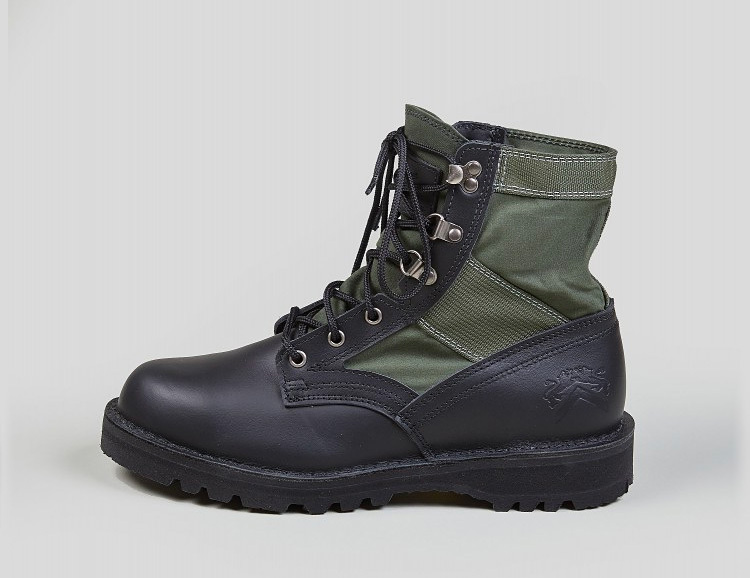 British designer Nigel Cabourn teamed up with Portland-based bootmaker Danner to create a modern version of Vietnam war-era military issue Jungle boots. 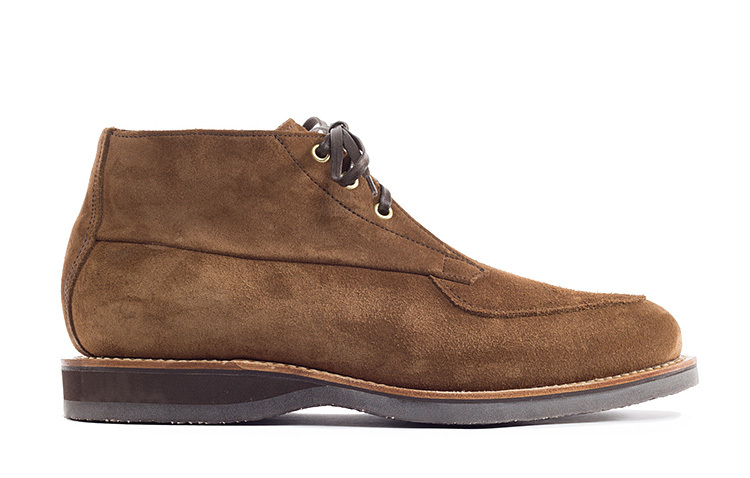 The boot features a canvas & full-grain leather upper, a rugged outsole and stealth RC branding. James Bond couldn’t wear just any old boot in the new movie. The iconic Brit happens to wear a pair of American-made all black Danners. Now you can too. Danner is offering a 007 version of their Mountain Light II hiker in a black on black colorway featuring a waterproof/breathable Gore-Tex liner and the classic Vibram Kletterlift sole. 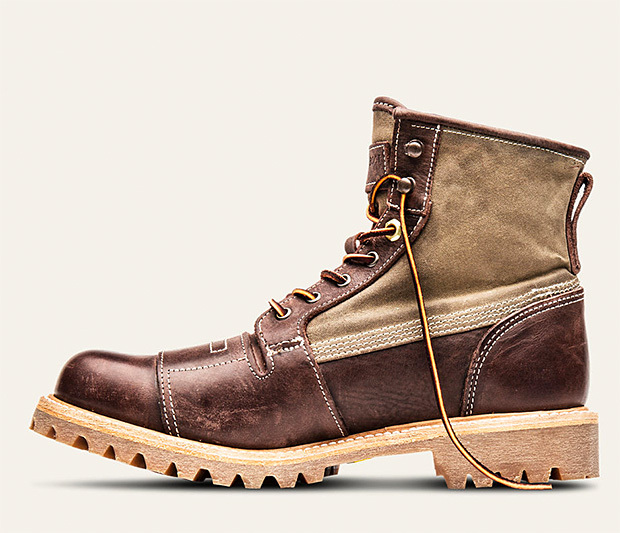 Filson & Danner teamed up to create a fresh variation of Danner’s classic 8”, American Made Grouse boot. 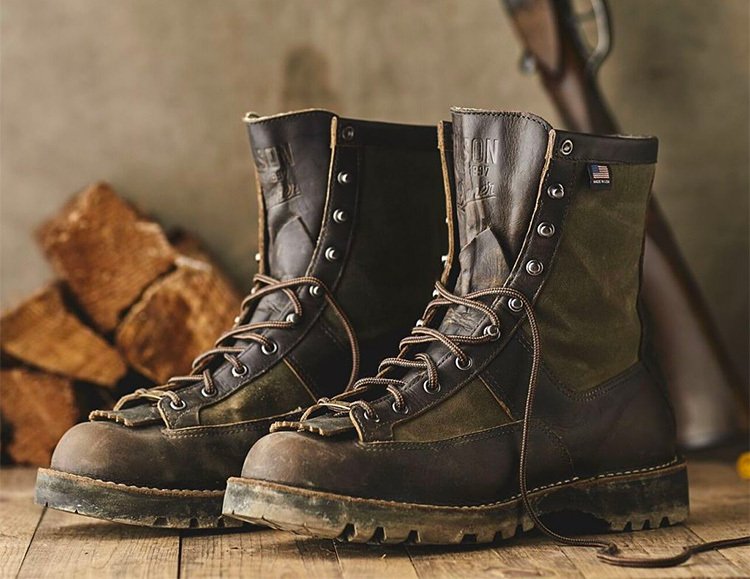 The upper is a mix of full-grain leather and Filson’s green oil finish Tin Cloth and features the waterproof breathability of a Gore-Tex membrane. The outsole is high-traction, shock-absorbing Vibram Olympia bonded to the upper with Danner’s timeless, stitch-down welted construction. Built for winter hiking and deep-snow trekking, the Lost 40 boot from Vasque—named after a notoriously sub-zero region of Northern Minnesota—is made for extreme cold and features a 7mm wool felt liner, AeroGel thermal barrier under your foot, and a Vibram IceTrek outsole. 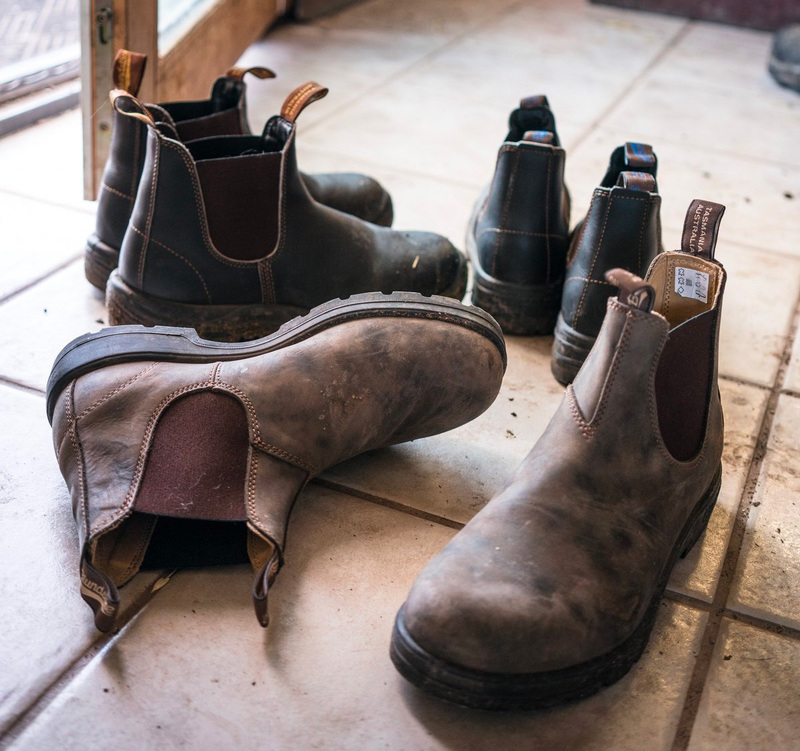 The Blundstone 500 boot is a ubiquitous companion for active weekends, walks in the woods, and all the adventures of every day life. No laces to tie, smooth leather upper, and understated style that goes everywhere with no wasted effort. Choose from black or brown with a variety of contrast-color elastic panels. Released for the first time since it was introduced back in 1978, Timberland’s classic hiker is back just in time for fall. The traditional Euro-style design features a full-grain upper, metal eyelet and hook lacing, and a rugged Vibram outsole. Internally, the new model has some updated tech: a modern Timber-Dry waterproof membrane and plush, anti-fatigue insoles. 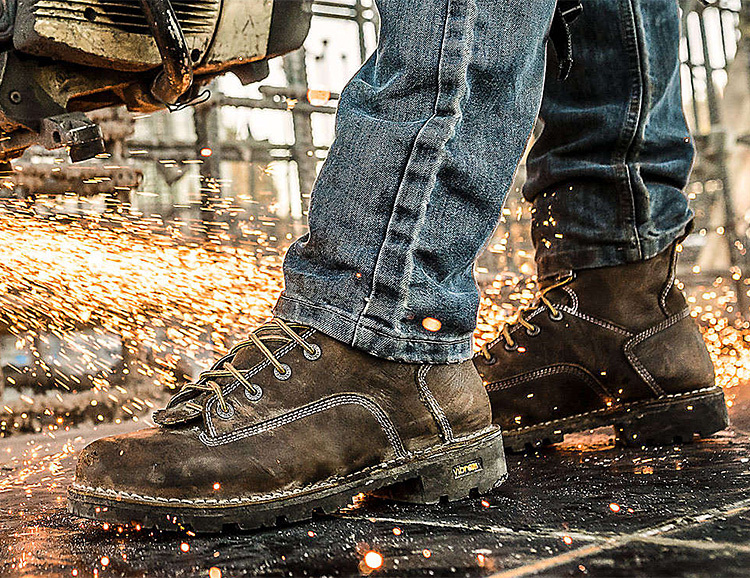 Constructed with full-grain leathers made in the USA and inspired by their original pole-climbing boots of the early 1900s, Timberland’s new Lineman boots are built to be rugged and abrasion resistant. They’ve got a lug rubber Vibram outsole & rawhide laces with 90-pound pull strength.